It’s National Adoption Night at Wendy’s! 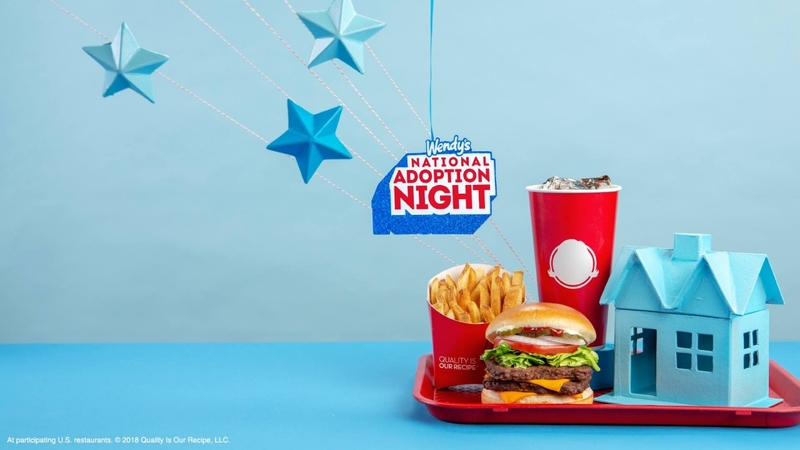 The Dave Thomas Foundation for Adoption thanks The Wendy’s Company for hosting National Adoption Night, tonight May 8, at their stores across the United States. This fun, inspirational night allows Wendy’s customers to learn more about foster care adoption, while enjoying a delicious fresh, never frozen meal at their local Wendy’s. The Dave Thomas Foundation for Adoption could not be more grateful that on this night, Wendy’s will donate 15% of dinner proceeds to the Foundation to help further the mission to dramatically increase the number of adoptions from foster care. There are more than 117,000 children in the United States waiting to be adopted by loving parents. We can make that dream a reality, but we can’t do it alone! To learn more about how you can get involved, visit davethomasfoundation.org.